Franklin D. Cooke, Sr., son of the late Laura Mae Cooke Dickerson and Paul Smith, was born on November 9, 1932, in Wilmington, Delaware. He went home to be with the Lord on Friday, February 8, 2019, at his home, surrounded by his loving family. Franklin received his early education in the publics schools of Wilmington, Delaware. Following his schooling, he enlisted in the United States Army where he served his country honorably from 1953 to 1955. On June 15, 1956, Franklin was united in Holy Matrimony with the late Arlene Boardley, and from this union were birthed Franklin D. Jr. and Paula Marie Cooke. 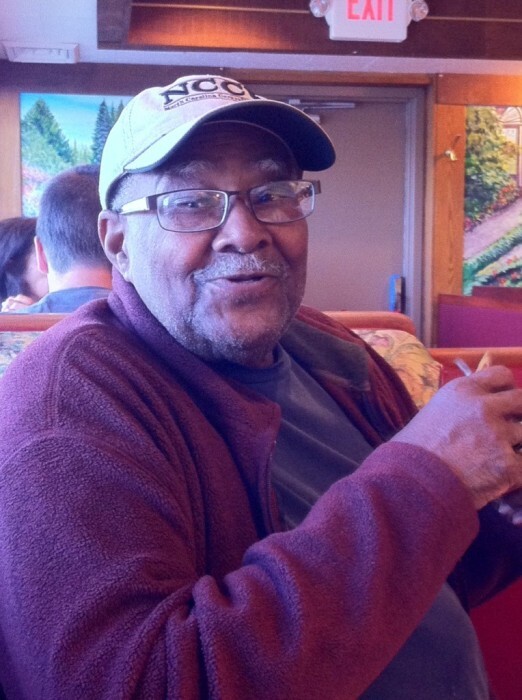 Frank was a retired longshoreman, having worked for many years with the International Longshoremen Association Local #1694, where he had served as financial secretary under the late Arthur "Skinny" Wilson. He traveled all over the world handling business matters for the Local, including Ireland, England, and Mexico. He also spent time working for Atlantic Aviation, Chrysler Corporation in Newark, Delaware, and UPS. He was a Past Master of Star in the East Lodge #1 PHA, Palestine Chapter #3 HRAM. . In addition to his his wife, Arlene, and his parents, Frank was preceded in death by siblings, the late Barbara Cooke, Patricia Cooke Watson, Arthur "Petey" Cooke (Bea), Dennis Cooke (Judy), and Lester Dickerson (Barbara); also 3 aunts, Virginia Marks, Dorothy King and Janice Baker and 2 uncles, Joseph Cooke and Ralph Cooke. He leaves to cherish his memory, son, Franklin D. Cooke, Jr.; daughter, Paula Cooke Seeney (Ron); brother, Patrick "Pat" Cooke; sister, Cynthia Johnson; 5 grandchildren, Dionne Keenan (Fred), Franklin D. Cooke, III; Chanel Purnell (Joseph), Adrienne Cooke, and Barry Cooke; 5 great-grandchildren, Gavin Cooke, Gabrielle, Christian & Caleb Keenan, and Chanel Purnell; a special nephew, Patrick Cooke, Jr.; sister-in-law, Grace "Tooky" Burris (Larry), and a host of nieces, nephews, cousins, and friends. Viewing will be 5-6:30 pm, Friday, February 15, 2019, at Canaan Baptist Church, 3011 New Castle Avenue, New Castle, Delaware 19720, followed by Masonic service at 6:45 pm. Further viewing will be Saturday, February 16th, from 8-9:15 am and his Home Going Celebration will begin at 9:30 am. Interment will be in Gracelawn Memorial Park, immediately following the funeral.